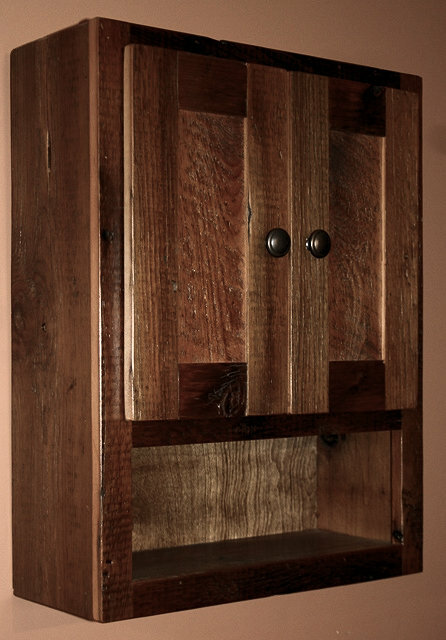 Barn Wood Toilet Cabinet 4 is another version of our barn wood toilet cabinet. 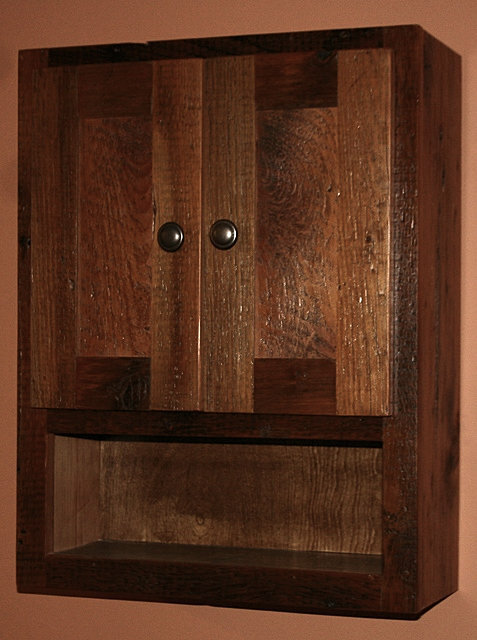 This cabinet has hidden hinges, with over lay doors providing a slightly different look to the cabinet. Made from the same wood as our other authentic barn wood furniture and cabinets, which is primarily reclaimed pine and reclaimed douglas fir. Finished with a clear coat of furniture grade clear catylized lacquer (low voc), and also available with a NO voc, natural finish as well.